APPELHOF, PFEIFER & HART, P.A. We concentrate our practice in the areas of family law, criminal law, probate administration, wills and estate matters, tax law and appeals. 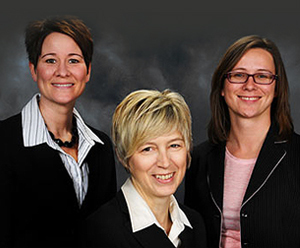 Appelhof, Pfeifer & Hart, P.A., also offers mediation and parenting consulting services. At Bearded Acres, we value rural life and the traditional american family farm. We raise meat goats, poultry and eggs for the local market. Our mission is to provide the highest quality, natural goat meat and farm fresh products to our community of consumers. We are a general practice law firm practicing in the areas of Estate Planning (Wills/Trusts), Divorce, Mediation, Parenting Time, Business Law, Probate, Elder Law, Real Estate. We understand that our representation is all about you, our client. Because we understand that, our clients trust us to help them with their most sensitive problems as well as their life changing decisions and events. We feel that it is important for you to know who your legal team is. First we work for you. We understand that it is your decision to work with us. You are our boss. You are in control. We don’t get to decide what you do. It is your life, your case and your decision. It is our job to provide you the guidance and advice you need so you can make an informed decision. We understand the frustration that auto accidents can cause. We’re here to help ease the stress and handle your repairs quickly and professionally so you can get back out on the road. Our technicians have decades of experience repairing all makes and models, from minor dents and scratches to even the most complex collision damage. We have the know-how and technology to handle any job, offering peace of mind and a level of convenience you just won’t find in other body shops. Bert’s Auto Body is insurance approved and offers late model collision repair, auto glass, customer crash towing, air conditioning and 2013 loaner cars. Girl Scouts builds courage, confidence and character, and who make the world a better place. We have several troops in Braham. We work on patches/badges and group activities. We also provide community service, sell cookies, and have fun! Student Council is a group of high school leaders who host and/or organize a variety of events to promote school and community pride. Student Council representatives are RaeAnne Leaf and Alexis Fix. Braham Barber Stylist has been in business since 1985. I offer haircuts and styles for the entire family. To accommodate your needs, you can just walk-in or make an appointment. You will find at my barbershop that ‘Mayberry’ small town atmosphere with nonsense visiting, a good story or two or maybe just an update on what is going on in Braham! Come on in, the chair is waiting! At Braham Country Floral we provide you quality service with unique and beautiful fresh floral designs. We specialize in Birthdays, Celebrations, Weddings, Funerals and Memorial services. Braham Country Floral offers the variety to fit your needs. We also have a great Coffee Corner where we serve Lattes, Espresso drinks, Smoothies, Frappe’s, and other specialty drinks. If you’re looking for an original gift, we have many creative handmade gift items by local artists, jewelers, and potters. This is also a popular location for tanners. We have two tanning beds with reasonable tanning prices for a mini-spa retreat! Braham Evangelical Covenant Church is a small town church serving the Braham and surrounding community. Braham Covenant Church believes in loving God and loving people. Come check us out for our Sunday Worship Service at 10AM. Braham Event Center is the best event center in East Central Minnesota. We host a variety of events at affordable prices. The Braham Food Shelf and East Central Regional Library Link Site is located in the Braham Event Center. Check out our website for upcoming events. We provide dental care to the whole family! From dental cleanings and whitening to fillings, crowns, extractions, dentures, implants and more, we strive to help our patients get that healthy, beautiful smile that they are looking for. Braham Hardware & Rental is a full service hardware store that offers rental items, live bait, small engine repair and parts, outdoor power equipment repair, computerized paint color matching and much more. We are proud to serve Braham and the surrounding communities for over 30 years. We invite you to visit our store and are confident you will be pleasantly surprised by the variety of merchandise available and customer service you can depend on. Our employees are committed to great customer service and it shows. A clean, safe, friendly atmosphere for you and your family to come and have fun. We offer youth, adult, senior, couples leagues. We do tournaments and can host parties of all types. Open September – May, 7 days a week. For bowling in June-July-August, call (320) 396-3019 for availability. Full service bowling; pro shop also available. We are a family owned business serving the Braham area since 2001. We have 4 sizes of storage units – please call for availability. 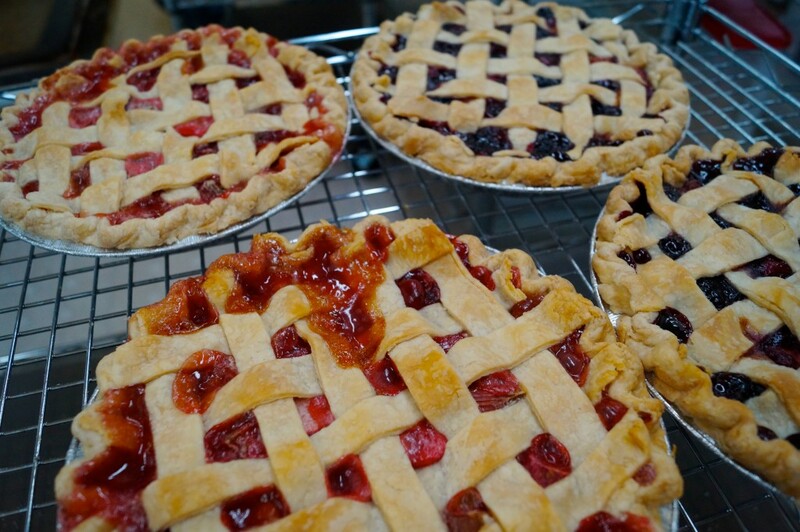 Braham is the homemade pie capital of Minnesota. Every year on the first Friday in August the people of Braham celebrate Pie Day. This celebration includes craft sales, music, food vendors, games, entertainment and various types of pie. Braham was declared the Pine Capital of Minnesota by former Governor Rudy Perpich in 1990. Braham became famous for its pie in the 1930s and 1940s when Minnesotans would take the “shortcut to Duluth through Braham”. While taking this “shortcut”, people would stop in Braham and visit the Park Cafe, the cafe that made Braham pie famous. Pie Day began in July 1990, after Independence Day, as an ice-cream social for fundraising and other charitable activities. The date was changed to the first Friday in August when the Isanti County Historical Society took charge of the event in 1992. Braham Storage, established in 2016, offers an indoor storage facility, storage containers for rent on-site and containers for lease off-site. Subway Restaurant established September 2008. We service all gas and oil furnaces, mobile home furnaces, A/C Systems, steam and hot water boiler systems as well as installation of heat and A/C systems. Cambridge Medical Center is a regional health care facility providing comprehensive health care services to more than 30,000 residents in Isanti County. The medical center is comprised of a large multi-specialty clinic and an 86-bed hospital located on one large campus. A same day clinic, retail pharmacy, and eye care center are also located in the facility. One of the most unique aspects of the medical center is its size. Although located in the small community of Cambridge (populationj5,520), the medical center has over 150,000 clinic patient visits each year, 4,000 inpatient hospital admissions, and has over 100,000 outpatient visits annually. There are more than 65 physicians and providers on staff and 27 consulting physicians providing specialty care such as cardiology, ENT, and urology, among others. Local bar and grille, offering fun and food for the whole family. Captains Trackside offers a variety of entertainment and activities for all. Carlson Fence installs and repairs chain link fencing for yards, dog kennels and trash enclosures. Call for a free bid. We offer high quality chiropractic care, massage, and nutritional support. We strive to give our patients and clients the best customer service possible in a relaxed and friendly environment. Core Chiropractic is a provider for most insurance plans and we offer a great plan for those without insurance. We invite you to experience the difference at Core Chiropractic in Braham. Diversified Bronze & Manufacturing has been rooted in custom bronze bearing manufacturing since we began. Our custom machine shop has expanded to work in all types of red metals, aluminum bronze, plastics, and powdered metals. Our passion is in making the specialty parts you need for your next project. With no two orders exactly the same, our custom machine shop is a diverse and exciting part of our business. East Central Energy is a member-owned electric cooperative. Formed in 1936, we currently provide electric service for more than 59,000 homes, farms, and businesses in East Central Minnesota and North Western Wisconsin. As an Edward Jones financial advisor, I believe it’s important to invest my time to understand what you’re working toward before you invest your money. Working closely with you and your CPA, attorney and other professionals, I can help determine the most appropriate financial strategy for you and your family. I can also help with your retirement savings strategy so you have more options when you retire, regardless of what you decide to do. Family Pathways works with communities to develop supportive, caring relationships to help people meet their basic needs. This is done by offering a safety-net of essential services. Together with volunteers, donors and the community at large, we give our neighbors the hope and stability they need. At Farm Bureau Financial Services, we understand you’re looking for ways to simplify your life, while making sure you have the coverage you need. Farm Bureau Member’s Choice can help you protect your home, vehicles and other personal property conveniently and affordably. You can trust our experience. 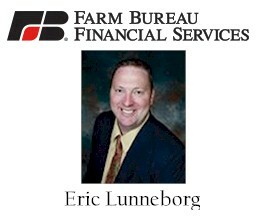 I’m Eric Lunneborg and I’m committed to helping you prepare for the future and protect what matters most. Let me help you through all stages of your life. website for coverage maps and pricing. The casino opened in 1992 and is open year round, 24 hours a day, seven days a week. It offers gaming, bingo, pull tabs, restaurants, arcade, golf and concerts. Heartland Express is a rural public transportation system serving area residents in Isanti and Chisago County. Heartland Express welcomes everyone to ride! Children under age seven (7) must be accompanied by an adult or caregiver. We provide curb-to-curb service. That means whether you live in town or in the county, the Heartland Express is available to you! Our sole purpose is to offer a low-cost, efficient mode of public transportation for all county residents. All of our drivers have a Commercial Drivers License and are trained and certified in Passenger Assistance, Defensive Driving, and Sensitivity Training. All of our buses are handicapped accessible and lift-equipped. We are a city-owned municipal liquor store. We control the sale of alcohol and generate income for the community. We offer a large variety of beer, liquor, wine, non-alcoholic, tobacco products, kegs, sodas, bar supply and much more! We encourage everyone to shop locally to help support our community, but the benefits also come back to those who do so. Our store is friendly and inviting and our staff would be happy to answer any questions you may have. We invite you in to look around and see what we have to offer! “In His Steps Ballet & Performing Arts Company” is a non-profit 501(c)(3) organization that was officially established in 2002. Lisa McKinnis has a vision for bringing education in the arts primary through dance and music. Classical ballet is our primary teaching tool for technique training. Proper ballet technique transfers to all other dance art forms. We also have students who participate in ballet to improve martial arts and sports. 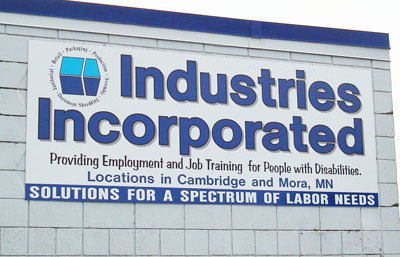 In His Steps Ballet has developed the first performing arts company for the Isanti County – Cambridge area specifically for the purpose of providing training to students of all ages. We offer training in drama, music, art, and a wide variety of dance for individuals of all ages interested in becoming part of the performing arts community. We collaborate with individual instructors in the training we offer. We are also collaborative in that we reach beyond the student body of In His Steps Ballet to include performing artists from other communities and studios. One example has been our ability to offer our community the opportunity to enjoy the performing arts through our mini-series events. Perhaps you have already been blessed by one of these events. 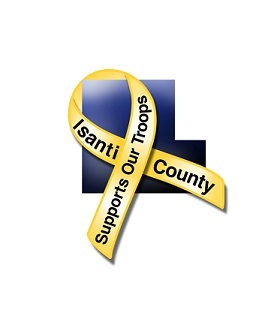 Isanti County Beyond the Yellow Ribbon supports Isanti County’s military service members, veterans and their families by coordinating services and resources to them. Rental of portable toilets, restroom trailers and storage containers. KBEK 95.5 is committed to providing the very best in LIVE and LOCAL radio. We support local community by keeping listeners informed on important events and support local businesses by offering affordable and effective advertising. We are a small, loving, country Church striving to reach the lost for Christ. We have Sunday School at 9 am and Worship Service at 10:45 am every Sunday. We meet every Wednesday for prayer, Bible Study and Fellowship. McKinnis & Doom, P.A. is a general practice law firm in Cambridge, Minnesota that provides full-range services to clients around the state of Minnesota. Its attorneys specialize in commercial litigation, banking law, business and corporate law and litigation, real property matters, family law, personal injury, wrongful death, criminal defense, and employment law. We strive to combine our expertise and experience with cost-efficient, personal service to help clients achieve their personal, professional, and financial goals. To that end, our attorneys work both to resolve and prevent clients’ problems as litigators, counselors, advocates, strategists, and defenders.We distinguish ourselves by fostering strong relationships with clients to understand their unique situations and to develop creative, collaborative solutions based on that information. This allows us to focus on the people involved so we can offer the service and representation they deserve. Our attorneys then couple this service with exceptional legal knowledge and skills, shrewd business sense, and innovative problem-solving. driveways, basements, water & sewer hookups, demolition, clean-up, yard hydrants. post-hole digging, leveler-grader, other attachments available, light landscaping & snow plowing. We are your local print shop specializing in business and marketing solutions, event printing and so much more than paper! We offer business cards, envelope, forms, blueprints, flyers, newsletters, invitations, signs, banners and graphic design services. 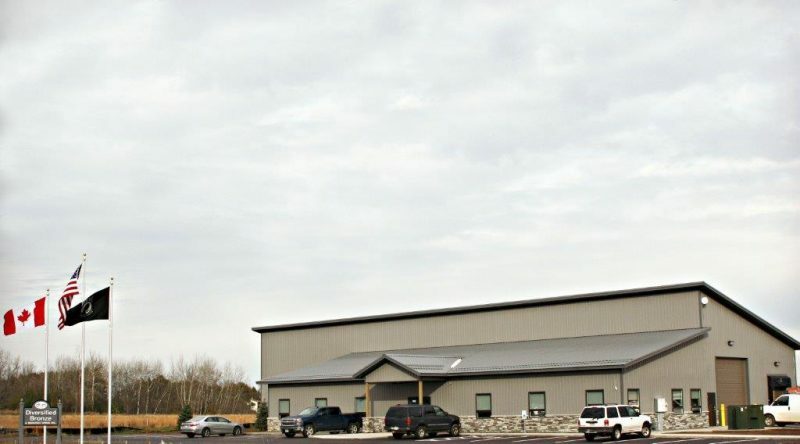 North Central Fabricators LLC started in 2011 and moved to the Braham area in 2014. We specialize in manufacturing sheet metal HVAC. North Folk Winery is located on a beautiful rural setting in East Central Minnesota. The unique timber frame tasting room is open from May – December. Special events are scheduled throughout the year. I started making wines about 13 years ago when my wife gave me a wine making kit for a Christmas gift. The first batch of wine was horrible. Because of that I wanted to find out what went wrong. I did extensive research on wine making and started using what I have learned in my research on wine making. We started winning awards in 2009 & 2010 and decided to go commercial with it. The winery opened in 2015 and in 2016 we entered 6 wines into the Finger Lakes International Wine Competition and won 5 medals. We then entered those same 5 into the Minnesota State Fair and won another 5 medals. Park Manor Apartments is a public housing building – HUD Low Income Apartments. We give preference to elderly and disabled; however, anyone can apply. Park Manor Apartments is a 32, 1 bedroom unit facility with 2 handicap accessible units. Our property has secured entry, on-site beauty salon, gazebo/deck, assigned parking, elevator and paid utilities (excluding phone & cable). Catholic Charities / Meals on Wheels (MOW) / Senior Dining is on-site Monday – Friday serving lunch to residents and local seniors at 11:30 am for a low cost fee. Contact us today for an application to be mailed, emailed, faxed or simply visit us! 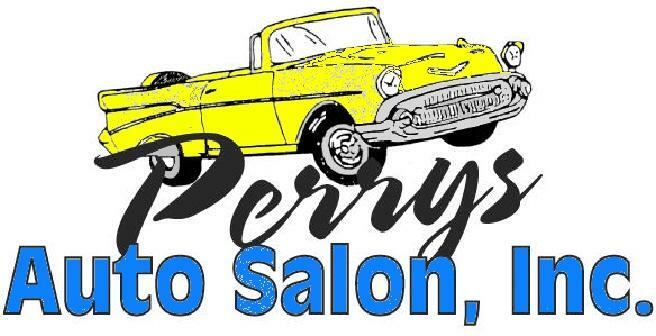 Complete auto body and collision repair serving East Central Minnesota since 1978. We work with all insurance companies, Loaners, Rental Centers, Downdraft Bake Paint Booth, Computerized Frame Measuring System, Computerized Paint Matching System and Waterbase Paint. Award winning pizza, burgers, salads and wraps. Full service bar with happy hour Monday – Friday. Delivery radius of 10 miles every day! We are a small family owned business that specializes in embroidery, screen printing and promotional products. We can do anything from small orders of 1 or 2 items all the way up to hundreds. The sky is the limit! If you can think of it, we can provide it. Experiencing change, loss, death and grief is difficult. We live in a culture that glorifies youth, beauth and productivemess and denies the role that loss, suffering and grief play in shaping our lives. When we love deeply we grieve deeply at the death of a loved one. Funeral rituals are important as they honor the life that was lived, help us express the grief we feel, invite friends and family to offer comfort and support and often become reunions for family and friends. Funerals are for the living. No two funerals are exactly alike. The ceremony may be religious or secular depending onthe person responsible for making arrangements. A meaningful, personalized funeral or memorial service will be an important occaison for the family to share memories and begin the grief process. We are committed to helping you plan a meaningful funeral or memorial service that is consistent with the life that was lived and strives to meet the emotional and financial needs of the survivors. Over a decade of service to the area. Honest and ethical real estate representation. Local resident with a nationwide presence. Friendly, laid-back atmosphere for the whole family. Stylists with years of experience specializing in cutting, coloring, chemical services, waxing, hair treatments and formal styling. Buy, sell, trade and service RVs. Family owned and operated. 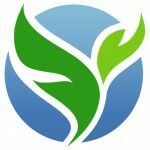 "A Fresh Approach to Clean"
Spring Green Services – providing sustainable cleaning and consulting solutions for central Minnesota. A new name, with an expanded role in providing great resources targeting how to maintain the “Tripe Bottom Line” — People, Profit and Planet. Still keen to address your home and business cleaning needs. Now also available for one-on-one consulting and workshops for individuals, community groups and businesses. Check us out! Welcome to your one-stop shop for all your Real Estate needs! Whether you are buying or selling your home, we have all the resources you need to get from start to finish. Specializing in Cambridge and surrounding areas, we look forward to helping you with your transition! As an independent insurance agency since 1977, Town & Country Insurance offers personal, commercial, life & health insurance from four office locations – Finlayson, Mora, Hinckley and Barnum. Our agents will be pleased to meet with you about your needs and concerns. Tusen Tack, a non-profit organization, opened its doors in August 1989. Our mission is to receive donated clothing, household goods, books, jewelry, furniture, etc., and sell them at a nominal price so everyone can afford to shop with us. All profits go back to the community and surrounding area to support the Food Shelf, hospices, police and fire departments, schools, victims of fire, and the ministerial association. Tusen Tack is operated only by volunteers for the betterment of our community. See you at Tusen Tack. Tusen Tack is the proud sponsor of the Braham Area Community Center. Unity Bank is a family owned bank with 14 locations across Minnesota and Wisconsin. Unity Bank has been thriving in Personal, Commercial, Real Estate, and Agricultural financing since 1882. Unity Bank believes that investing in our communities is an integral part of our business and an essential part in contributing to the growth of our communities. We make loans for our neighbors in town and on the farm, we invest in local businesses, and we support local community initiatives because we know that we depend on our communities and our communities depend on us. Unity Bank, your banking Collaborator, Navigator, Cheerleader, Teammate, Sidekick, Partner. The VVA Chapter 684 is a non-profit organization designed to help & support not only Vietnam Veterans but all veterans & their families. We have several programs in place to aid vets & their families in times of financial aid, physical aid or moral support. Regenerative, grass-based family farm offering pastured poultry, forested and pastured pork, and 100% grass-fed beef. No antibiotics, hormones or GMO’s.